There are few aches that hurt as bad as a toothache. The pain almost makes you go numb, and your daily activities seem to come to a halt whenever a toothache is present. But toothaches aren’t the only dental emergencies these days. We live in a fast evolving world and with everyone on the go, taking care of your personal needs and sometimes even personal hygiene has taken a backseat. Emergency dentists fill a much void gap. They are clinics one can go to whenever the need arises and according to one’s own convenience. Gone are the days of taking a dreaded appointment that may or may not work in your favour and waiting in long queues nervously before meeting the dentist. It is also not just surgical procedures that emergency dentists perform, but also cosmetic procedures like teeth whitening, fixing chips, and taking care of stains and cracks. Any major or minor need of yours related to your oral health can be taken care of almost at a moment’s notice, thanks to the rise of emergency dentists. There are also different and attractive methods of payment options, so make sure you choose one that suits your needs best. Named after the Peoria tribes, Peoria is one of the oldest European settlements in Illinois, established in 1691 by Henri de Tonti, a French explorer. It is the headquarters of the very famous Caterpillar Inc., is the county seat of Peoria County, and is also the largest city on the Illinois River. Peoria has been found to be the seventh most populated city in Illinois as of the 2010 census, and boasts a population of 112,936. The population has seen an increase of 1.8 % over the last decade. Here is a list of reputed dental cares you can contact for your dental needs. Serving patients for over 25 years, here you can get a variety of services, such as dental exams, cleaning, X-rays, sealants and fillings, fluoride treatments, implants, cosmetic dentistry, and also periodontics and gum therapy. Different and attractive payment options are available to patients. It is located at 2015 W Glen Ave, Suite 230, Peoria, and you can contact them at (309) 402-0206. 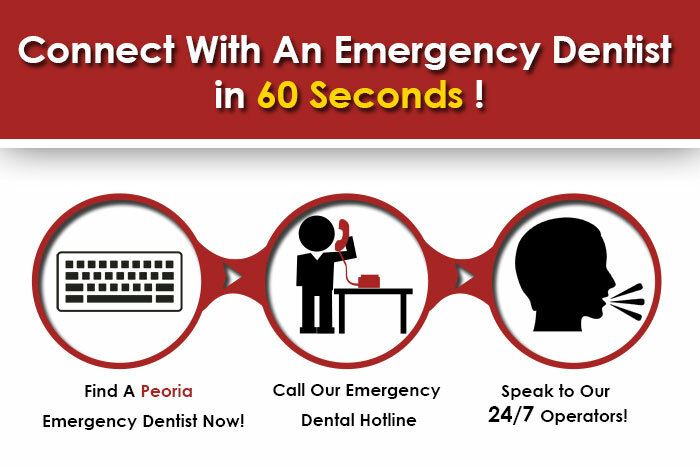 Located on 1424 W Glen Ave, Peoria, all your dental needs can be taken care of in here. Among the many services that they provide, are crowns, stain removal and teeth whitening, and dental implants and veneers. For your convenience, you can take even an early morning appointment or even get treated during your lunch break! Insurance is accepted and different payment options are provided too. You can reach them at (309) 222-8396. Situated at 2819 N Knoxville Ave, Peoria, Illinois 61604, you can obtain services, such as teeth whitening, tooth extractions, oral surgery, dental bonding, and of course, regular checkups if and when required. They can be contacted at (309) 285-8959.